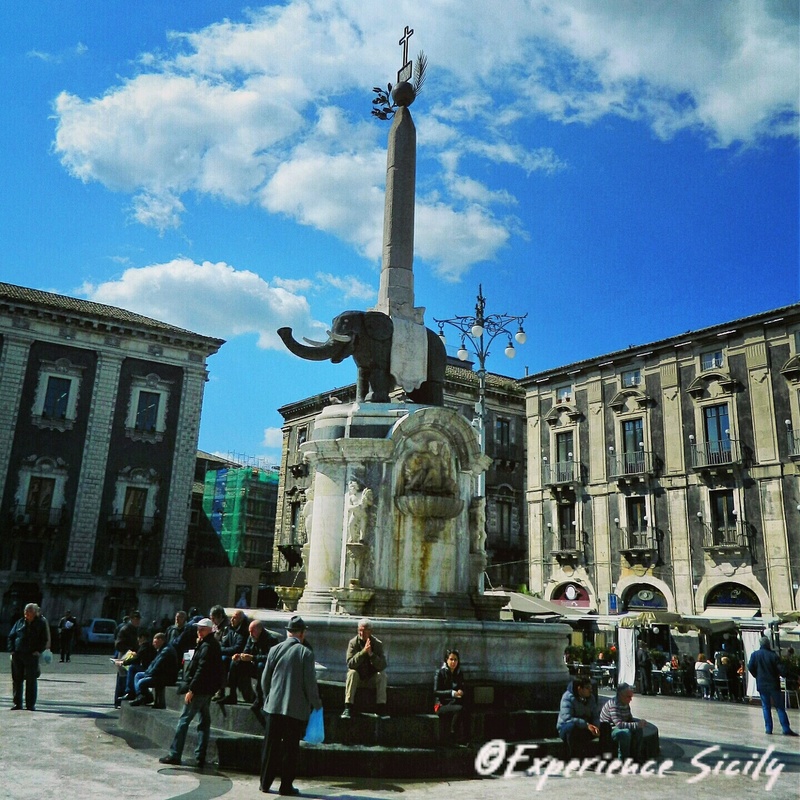 Two rivers meet under Catania’s Piazza del Duomo to feed the Fontana dell’Elefante, or the Elephant Fountain. Designed by G.B. Vaccarini in 1736, this focal point of the cathedral’s square possesses an ancient Roman-era statue of an elephant made from black lava stone holding an Egyptian obelisk that boasts hieroglyphics about the goddess Isis, and its top, with a sphere and lillies and a stalk of wheat, recalls images attributed to the goddess of grain, Demeter. The elephant is affectionately called Liotru and is the symbol of the city. I loved Catania! It was wonderful to visit the city and to experience Sicilians in their daily lives. It is a great city for walking and enjoying the local monuments and plazas, and there is so much to see in the surrounding areas. I especially liked the wine tasting at a nearby vineyard. Allison’s knowledge and experience facilitates travel and ensures a memorable trip to Sicily. I’m glad you have such wonderful memories of our stay there!